As we all immerse ourselves in the atmosphere of the Chinese Spring Festival, we have witnessed an historical moment of the school. 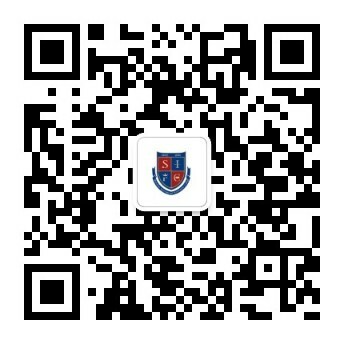 Congratulation to Zhang Xuanyi(Xuan) who received an ED admission from The University of Chicago. The University of Chicago is located in the Financial Center in Chicago, United States. It is a world-renowned private research university and is ranked among the top ten universities world-wide. About 40% of Nobel laureates in economics have graduated from the University of Chicago. The University of Chicago is the most important research teaching center in terms of world economics, law, and sociology. A large number of scientists gathered at Uchicago because of the Manhattan Project. Under the leadership of Fermi, the father of atomic energy, they established the world's first nuclear reactor, successfully opened the era of human atomic energy, and founded the first national laboratory in the United States. As well as this, the University of Chicago has produced many prominent alumni, faculty members and researchers. As of 2018, 98 Nobel laureates have been affiliated with the university as professors, students, faculty, or staff, making it a university with one of the highest concentrations of Nobel laureates in the world.Similarly, 34 faculty members and 17 alumni have been awarded the MacArthur"Genius Grant". In addition, Chicago's alumni and faculty include 53 Rhodes Scholars, 25 Marshall Scholars, 9 Fields Medalists, 4 Turing Award Winners, 24 Pulitzer Prize winners and 20 National Humanities Medalists. From 2017 to 2018, the University of Chicago was ranked 3rd in the US News & World Report. It is ranked 9th in the QS world University Ranking and the Times Higher Education World University Rankings. Xuan has studied in SIFC since Grade 8 and was one of the excellent students in the first graduating class in Middle School that year. In the daily contact, Xuan is an optimistic, proactive, thoughtful and caring young man. He is also popular among his peers as he is humorous and always ready to help others whenever they are in need. Xuan impresses others with his active involvement in making his community a better place. Understanding the importance of family relationships, he initiated a teenage forum where he shared stories, articles and comments to facilitate the parent-child relationship. With the achievement of successfully impacting more than fifty families, he was invited to an audio show about parent-child relationships with his own parents, where he was also able to influence other families. Moreover, Xuan has been regularly helping autistic children with their educational enrichment for over two years. Xuan also made the most of his time during vacations to fully develop himself. In Grade 9, he went to Columbia University to study psychology courses. In Grade 10, he enrolled in Harvard University's summer chemistry course. While in Grade 11, he participated in CIS research on Japanese society and he wrote a ten-page paper about that subject. In these activities, his high academic ability and the advantage of strong English proficiency were fully demonstrated. It is also worth mentioning that Xuan is the leader of the school drama club and has already directed and acted in several plays which were shown on school eventdays. He is also the bass of the school ACapella team where he displays his singing skills and participates in all kinds of performances. In all, SIFC has witnessed Xuan's great progress in the past few years and we believe that he could seek more opportunities and platforms to develop and promote himselfat University of Chicago.